From the feast of the Immaculate Conception to the Epiphany, in Italy every house, every place, and every church has its own Nativity scene. To be honest, when I was a child my first love was the Christmas tree, with its dazzling lights and ornaments, but what really makes the Christmas holidays unique is Presepe. Since I have grown I’ve come to appreciate this. Whether you are religious or not, Presepe makes you feel the deep sense of Christmas. The word itself, presepe, comes from the Latin “praesepe” and means “manger”, this is in reference to Jesus’cradle. Presepe is a focus on the birth of Jesus. Not the lights and glitter of the holiday, but a theatrical construction that reminds us of what we are celebrating. The first Presepe was created by San Francis in 1223, but it became a must-have during the year 1400 in the kingdom of Naples. In each house of the aristocracy, it was displayed as a huge lavish scene with no expense spared. The Presepe became a more popular tradition in time and it has wide spread from the North to the South. The home of Italian Presepe is undoubtedly Via San Gregorio Armeno in Naples, where it’s Christmas throughout the year. Here handicraftsmen work every day to create miniature figures, houses, and mechanical items, such as waterfalls, windmills, bakers, or cheesemakers at work. This street is one of the oldest in Naples, it has existed since the Classical era. During the Roman Empire, a temple to Ceres once stood here. Ceres was the goddess of agriculture and was frequently offered small terracotta figurines as a good omen for the harvest season. These figurines had been manufactured in the nearby workshop. In the 8th century, a church was built over the ruins of the temple by a group of nuns escaping from the Byzantine Empire. These nuns brought with them the relics of Saint Gregory the Armenian, because of this both the Church and the street took the name of the Saint. When the tradition of Presepe spread in Naples, artisans chose this street to showcase their creations, this wove together the pagan tradition of Ceres and the devotion to Saint Gregory. When is the Best Time to Visit the Neapolitan Christmas Market? Despite the fact that December is the best time to visit Christmas markets around the world, take my advice: consider visiting via San Gregorio Armeno at another time. The street of Nativity is a narrow and picturesque alley throughout the year but during the Days of Advent it is extremely congested. People are crammed together like sardines and it’s difficult to walk. If you are planning to come in Naples to get all the materials you need to build your own Presepe or if you are simply curious, any other period of the year will offer you a more fulfilling experience. Far away from the busy or crowded days, you will have the opportunity to visit inside the craft workshops and to observe the Neapolitan artisans creating their miniature masterpieces. In addition, you will be free to walk slowly along the alley, appreciate, in your own time, all the fine details, and, of course, choose the best pieces for your Presepe. Not Only a Christmas Market! Thanks to its rich history, this street has much to offer. As you can imagine, the Saint Gregory church and its cloister are worth visiting. The alley itself is dominated by the bell tower. It serves as a connection between the church and the monastery. In addition, just up the alley, inside the Church of San Lorenzo there is an interesting archeological site. A modern glass stairway leads to a part of the Greco-Roman Neapolis. A large archeological excavation that has brought to light the “macellum”, the ancient remains of the market. Just around the corner, in Via dei Tribunali, there is the entrance to the Napoli sotterranea (Naples underground) that gives you the opportunity to experience a fascinating journey forty meters below the street among the tuffaceous stone cavities excavated in the Greek era and exploited as cisterns for the water supply of the city for approximately 23 centuries. If you are also interested in food culture, you can’t miss having a traditional pizza. In Via dei Tribunali there are many of the most popular Pizzerie in Naples: Sorbillo, Decumani, Dal Presidente. Take your pick. Wherever you go, it will be the best pizza you have ever eaten. Are you planning to visit the toe of the boot? That sounds like a great plan! This region is one of Italy’s hidden treasures. There isn’t a lot of information about Calabria available on the internet. In addition, the most popular guides only mention The Sila, Tropea, the Riace Bronzes in Reggio Calabria, and just a few other places. In spite of that, Calabria desire’s to be discovered. 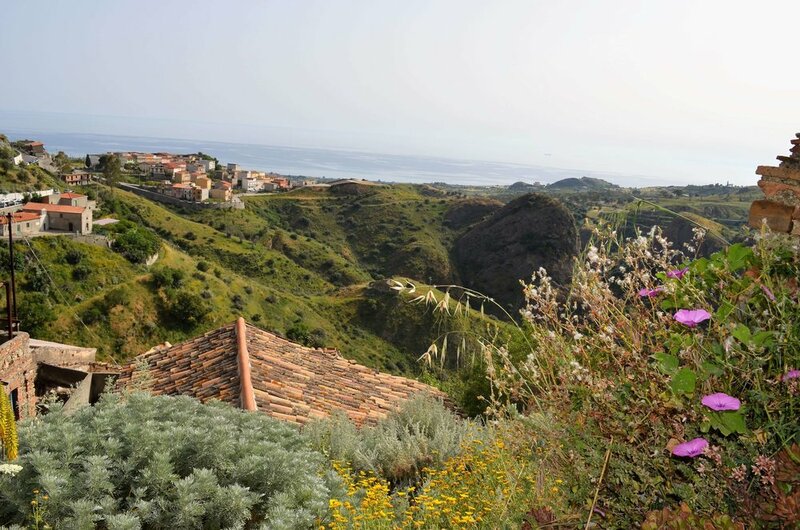 New York Times has noticed it and included Calabria among its selection of must-see locations. Don't be discouraged by very little information: great food, great beaches and wild nature await you. I’m planning to give you lots of travel tips in this blog, but today I don’t want to tell you where to go but “how”. I’ll share with you some interesting things about Calabrian culture and people that you should know before you come here. 1. Calabria isn’t touristy, so don't expect all the usual tourist amenities. You'll live like a local! 2. Learn some basic Italian phrases. You’ll need them because in Calabria just a few people speak English. In small towns and between older people, Italian is also rarely spoken. Dialect is, often, the mother tongue. In spite of that people are very friendly and try to understand and help you in any way possible. 3. Do not worry if people stare at you. It’s very likely that you aren’t doing anything wrong. Calabrians are quite inquisitive. They tend to stare at things or at people, especially at strangers. It’s an odd aspect of the Calabrian culture and it’s more common with older people. So, if you make eye-contact with someone, and they continue to stare at you, just look away and act like nothing happened. 4. Greetings are important. 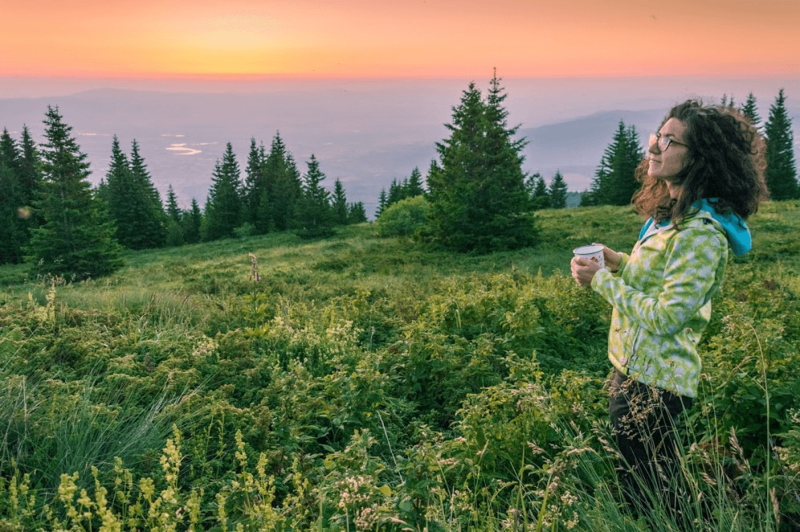 It is a common expectation and practice of courtesy saying Buongiorno (Good morning) or Buonasera (Good evening) to others when you come in a shop, a café, an elevator, or anywhere. Similarly, it’s polite to say something like Arrivederci (Goodbye) when you are leaving. Read this post if you want to know more. 5. If people talk in a loud voice, don’t be frightened! They aren’t angry. This is a stereotype but it is quite true. Italians, especially people from Southern Italy, scream and gesture a lot. It is a way to emphasise emotions and to display the musicality of the language. Violent behaviour here is unusual though it may seem like the whole country is full of angry people, but don’t worry and have fun! 6. Public transportation isn't very good. You can use the train to move from town to town but the best way to discover Calabria is by car. There are a lot of places such as beaches, trekking paths, and historical villages that are reachable only by car. So, prepare your drivers licence and credit card. You’ll need them to rent a car. Different Types of Calabrian Salami. 7. Calabrian cuisine uses many varieties of vegetables, especially eggplants and bell peppers. However if you are vegetarian, some people could look at you with surprise. This is because Calabrians love fish like stockfish and swordfish and are addicted to meat, especially the pork that is cooked and preserved in a lot of different ways: ‘nduia, soppressate, salsiccie, etc. 8. Make sure you have money to pay cash. You can use your debit or credit cards at the supermarket, but not for your shopping in the local street market. Calabria is full of little shops, botteghe, where you can find every kind of thing. Here you have to pay cash as in the bar or in the rosticcerie, typical italian takeaway where you can taste pizza, calzoni, arancini, etc. Food in Italy outside the well-traveled regions. Having said that, there are different travel itineraries you can follow. 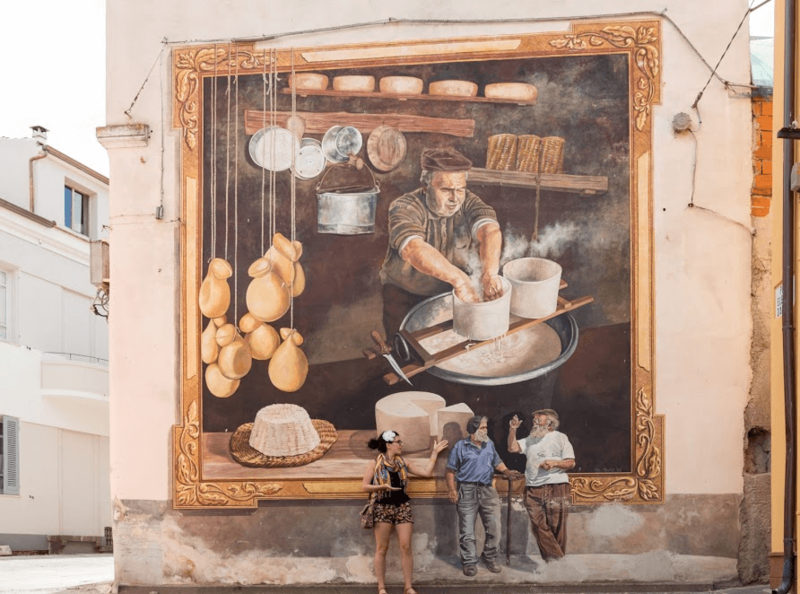 The New York Times has underlined the quality of Calabrian food but if it’s an interesting place to visit you are looking for, you won’t be disappointed. 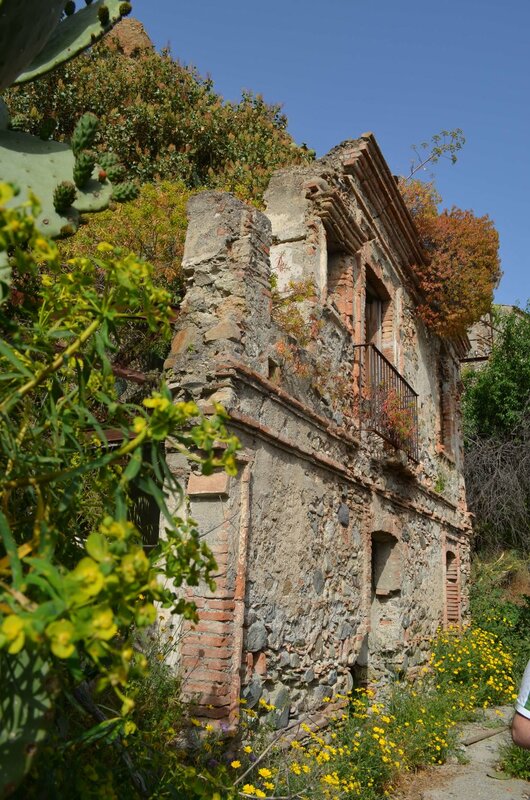 The region of Calabria is an area rich in history, traditions and natural beauty. What are you waiting for? Driving down the SS106, along the coast a little bit south of Reggio Calabria, in the Melito Porto Salvo area, you can see the unusal peak of Monte Calvario sticking out like a sore thumb. In English its name is Mount Calvary, this is in reference to the place where Jesus was crucified. The suggestive aspect of this place doesn’t end here. Continuing in the direction of the torrent Annà and going up the hill, the road narrows to a single winding ribbon of asphalt and a spectacular vista reveals itself: an enigmatic village built into the fingers of a giant stone hand at the edge of the breathtaking panorama of the Strait of Messina. The village looks towards Sicily, it seems as if it is supported on the palm of a hand erupting from the ground to protect it while presenting the village to the gaze of the world. The magical appearance of Pentedattilo is such that the Dutch artist Escher depicts it in a number of lithography when he journeyed in Calabria. It is a picture-perfect postcard. Anyone with a good camera can take suggestive photos of this village that capture the poetic imagery. Its charm is already in the name: Pentedattilo, from the Greek penta daktilos, which means five fingers. You will enjoy the scenery, but once you set foot on one of the cobblestone alleyways and find yourself surrounded by empty houses nestled between sandstone rock and lush vegetation, you might overwhelmed by the sense of mystery that permeates this place. Pentedattilo is a tiny ghost town. Abandoned since the nineteenth century, yet it still retains its magic. But what is most striking is the quantity of prickly pears and unusual rocks that stick out everywhere and include some houses. While it is uninhabited today, Pentedattilo has a long history, in fact ithas Greek origins not only in its name. Founded in 640 BC, it had been a Calcidese colony, then a Fort controlling access to the upper part of Aspromonte. From 1660, it became part of a noble family estate. During the years, its property was transferred from a family to another as part of trades or legacies. In the 18th century, a bloody story known as The Massacre of The Alberti caused great distress in the town. The massacre was the cruel end of the clash between two noble families. Brides and missed marriage are involved in a messy romance that was finally resolved with the use of violence. According to the legend, the five stone fingers are often named the Devil’s Hand because the rocks flow with blood. Further misfortune befell the town, as with the earthquake of 1783 depopulation and desertion of the town continued until no one was leftNow only the Castle, the Church of SS. Peter and Paul and the Church of Candlemas remain to preserve records of its glory days. Moreover, who come here will fall in love with the incredible panorama. From the place in front of the Church of SS. Peter and Paul, you can see the valley with the riverbed, the Strait of Messina, and finally Sicily and Mount Etna. Nowadays Pentadattilo relives for tourists and filmmakers. In the town there is an International Short Film Festival that attracts here young and master directors (for more information visit www.pentedattilofilmfestival.net/en/). 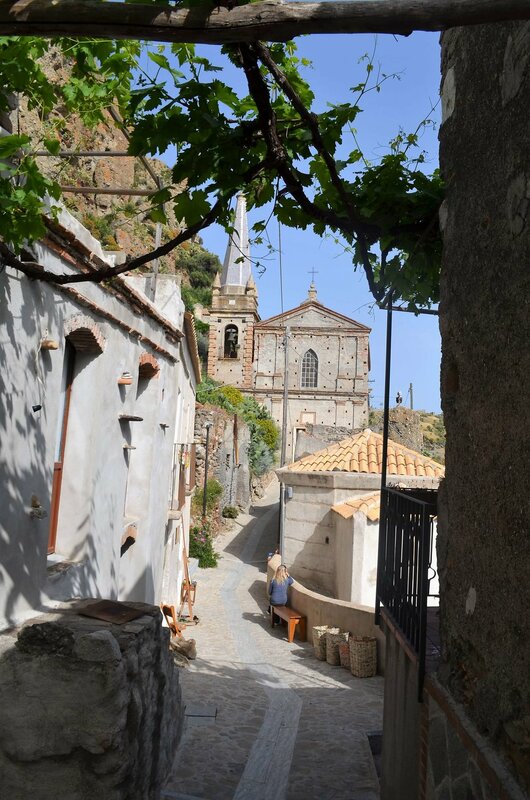 The narrow streets and the evocative places during the summer are the perfect location for concerts planned by the “Paleariza”, an itinerant music festival with events in many towns of the Greek Calabria (www.paleariza.it). Maria Angelova is one of the founders of 203challenges.com and its editor-in-chief. She calls herself "a traveling disaster roaming the world". I reckon she is a talented blogger and I love how accurate her descriptions are. She lived in Italy for a while and I asked her to tell us something about her italian experience. I really like the post “5 unique little towns in Italy for true explorers”. Everyone around the world knows Rome, Florence or Naples but there is much more to see along the “Boot”. How do you consider these hidden gems of Italy? Do you think they are so different from Italian big cities? As someone who've lived in a small town in Italy for a while, I find them very different. In a little town, almost nobody speaks English but people are more prone to help you. There's no official tourist center but the locals will show you the best places and will tell you the amazing stories behind them. There aren't world-famous restaurants but your neighbor may invite you over for a dinner and teach you how to cook the perfect Tiramisu. Let’s focus on the language. I know that you lived in Italy for 6 months. When you moved to Italy, did you speak a bit of Italian? Any trouble communicating with the locals? If you have studied Italian, what is the hardest part about learning it? I could say only “Buongiorno” and “Grazie” the first time I set my foot in Italy but living in a small non-touristy town helped a lot in my mission to learn Italian. I simply had no choice. My university professors were kind and understanding, my landlord was friendly, and all the old ladies who were trying to explain something important to me were all part of the learning process. 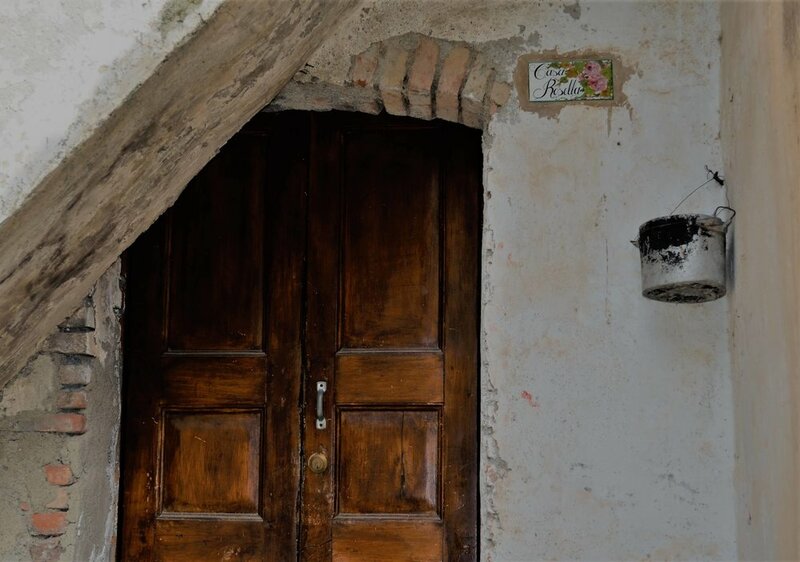 Well, living in Abruzzo was the reason why I started straight with a bit of a dialect but that's the best part about Italian language – all these different sounds and words – you travel around the country and discover new ways to say the same thing. Want to learn some Italian before to arrive in Italy? According to your website's spirit, what is the biggest challenge you have completed in Italy? Italy is a country where you can fulfill your craziest ideas and you'll always be surprised by the result. My love affair with Italy started in 2009 and my biggest challenge (because it's lifelong) is to visit it every single year of my life. So far, I've done it for eight years in a row. I want to challenge everyone reading this to discover an amazing story during their next trip (a fascinating local legend, the life story of a butcher in a small town, or the story of your favorite painter, which can be turned in your next travel itinerary). Are you planning to visit Italy in February? Wise choice. Indeed, wise perhaps is not the right word: we can say inspired choice if you want to know Italy's irreverence, irony and desire to laugh heartily. Every year, in fact, Italians from North to South are in the mood for playing and indulging themselves in Carnival excesses. From Latin carnem vale, which means goodbye meat, Carnival is the other side of the coin of Catholic rigor and spirituality. It is approximately ten days of party-time, which culminates and ends on Shrove Tuesday. The following day is actually the Ash Wednesday, which in the Catholic Church, signals the beginning of Lent, a period of fasting, abstinence and repentance. The most popular Italian Carnival is Venice, but if we look towards south, we are not spoiled for choice. Each region has living traditions that deserve to be known. The carnival manifestations are many, but I want to mention three: Sciacca in Sicily, Castrovillari in Calabria and Putignano in Puglia. Every Carnival, in Italy, has its own king, and the one of Sciacca, province of Agrigento, is called Peppi Nappa. Wearing enormous green clothes, Peppi Nappa is a Sicilian mask of the Commedia dell'Arte who embodies the figure of a lazy, but mocking and gluttonous servant. Peppi is the nickname of Giuseppe and the Sicilian term nappa means patch: so his full name should be Joseph Patch. He is a good-for-nothing man with extraordinary agility. Since the '50s, Mayor of Sciacca gives Peppi Nappa the key to the city exactly ten days before Shrove Tuesday. In this way, Peppi becomes the absolute master of the city and Carnival’s celebrations can begin. Peppi Nappa is represented on an allegoric float out of competition that opens the carnival parade handing out grilled sausages, candy, wine and squeezed oranges. His pranks and his insatiable appetite will be the leitmotif of all celebrations until the day of Shrove Tuesday when the mask is burned in the center of the square, so sanctioning the end of Carnival and the beginning of Lent. This final event is highly addictive with people dancing around the bonfire on notes of the hymn 'e Peppi N'ppa'. In addition to the traditional parade of allegorical floats, in Castrovillari relives in the form of competition and serenades the old "masquerade" ritual. 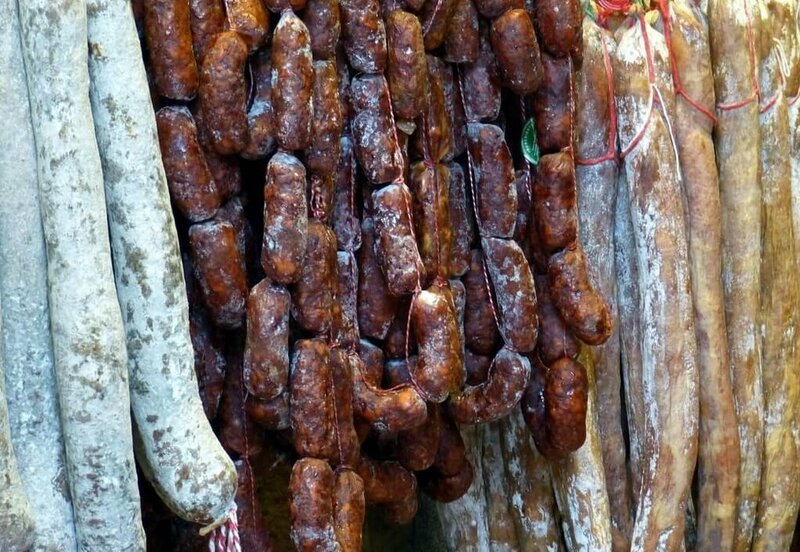 During Shrove Tuesday, the entire historic downtown district comes alive for the so-called Sirinata d’a Savuzizza, which means Sausage Serenade. Masked groups knock every door offering serenades in return for hospitality. For the occasion, each landlord prepares grilled sausages and offers wine, while groups perform at the sound of accordion and tambourine. Performances are evaluated by members of a jury that will decide the group winner. It’s a competition, but the atmosphere is festive throughout the country and its visitors are greeted by tarantella’s sound and local products’ scent. Among the oldest carnivals in Europe, Putignano has such a rich calendar of events that it is difficult to talk about it in a few lines. In a continuous confrontation with Catholic celebrations, events related to Carnival even begin Dec. 26, when at the end of the procession of St. Stephen’s relics, you can attend the Rito delle Propaggini, where groups of dialectal poets in peasant clothes retrace past years’ events in biting satires, reciting through city streets. Between sacred and profane is also the Bear festival that takes place on February 2, a day religiously marked by the blessing of candles and known as Candlemas Day. The bear, represented both as a dangerous animal to kill and as a winter-end symbol, runs through the city followed by a procession of farmers, hunters and scarecrows to arrive, finally, in Piazza Plebiscito. Here takes place the bear capture and process. At the end of this representation, the beast provides for the rest of winter weather. The atmosphere becomes even more irreverent with the approach of the Carnival. Every Thursday, from the end of January, are expected satirical shows for different social groups: Monsignors, Priests, Nuns, Widowers, Madmen (i.e., young people not yet married), Married women and last but not least, “Horned” (that are cuckolded men). The latter, edited annually by the Horns Academy, is undoubtedly the most characteristic and takes place on Shrove Tuesday. In the early morning, the Horned meet each other in the municipal cloister to polish their horns and create the Corneo, the cuckolds procession that will visit the "Great Horned of the Year" unexpected elected by members. This goliardic event continues in the evening with rite of purification of the horns’ cut. There is a place five minutes from my home in Palmi with one of the most breathtaking views you can find in Southern Italy. It’s Mount Saint Elia, a terrace on the Strait of Messina. From here you can see the coast from Scilla to Cape Vaticane and, in front of you, Messina and the Eolian Island. With a single look, you can embrace such a big and fascinating space that it seems as if you can touch everywhere with a finger. This trait of coast is named Costa Viola, or Purple Coast, because of the violet glares caused by the reflection of red rocks and green vegetation into the blue sea. The mount is famous for its landscapes because it offers to visitors a wide range of views. We are on the extreme tip of Aspromonte. Here mountains plunge into the sea donating magical atmosphere. You can find thick pine forest, mystical caves where Saint Elia lived and died and footpaths above the sea. A place like this in South of Italy often have a legend that increases their mythical characters. Here, there’s a rock, known as The Devil’s Stone, that symbolizes the eternal conflict between good and evil, and it’s the start point to explain some elements of the landscape. The Stone shows the track of feet and tail left by the Devil before taking flight. According to the popular belief, at that time, Saint Elia was trying to build a monastery on the mount, but the Devil has been destroyed his construction for two times. So, attempting to obtain his soul by deception, the Devil dressed up as an old man and approached to the Saint while he’s meditating on the mount. He told to Elia to have found a sack of coins in an abandoned house and offered him to share the sum. The Saint recognized him. He kicked the false old man that fall in the water, picked up the bag and started to throw coins from the top of the mountain to the sea. Each coin, touching the water, turned in black stone. This episode originates the name of one of the beaches of Palmi: Pietrenere, Blackstones Beach indeed. The Devil, instead, got stuck underwater in front of the mount and caused the rise of the volcanic island Stromboli from where goes on to blow his anger for the behaviour of the Saint. 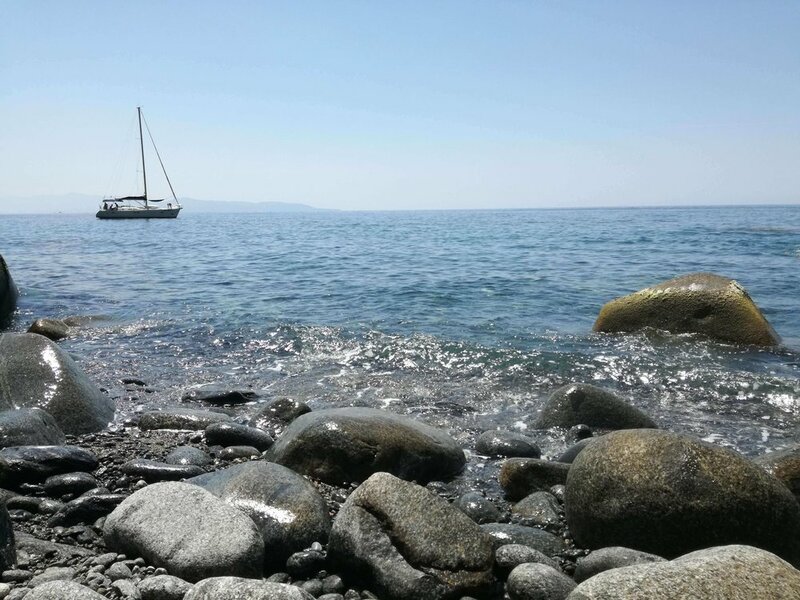 How to arrive: Mount Saint Elia is approximately 50 km from Reggio Calabria, but you can easily arrive here from every part of Calabria. Driving on the A3 highway, take the Bagnara exit and follow the sign for Sant’Elia. 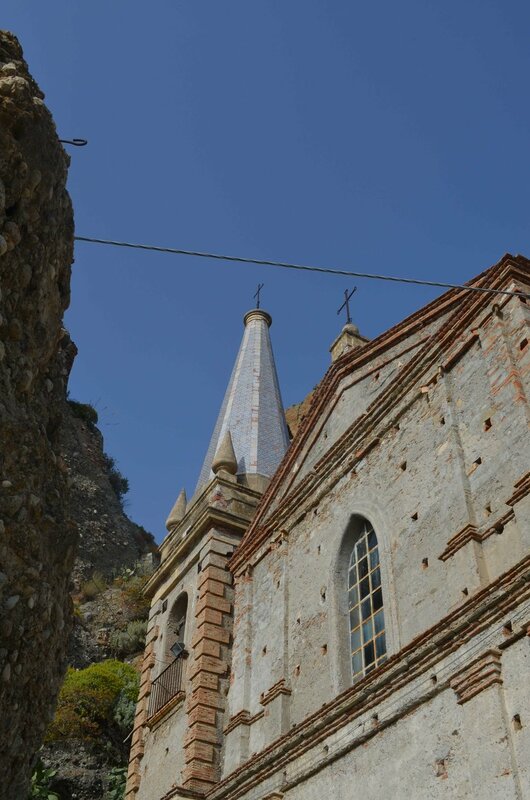 In the neighborhood: Saint Elia’s caves, Tracciolino footpath, Palmi, Seminara, and Bagnara.